WELCOME HOME TO THIS ADORABLE RANCH. THIS TURN-KEY HOME HAS NEW UPGRADES! EASY ACCESS TO INTERSTATE, MILITARY BASES, HOSPITALS, SCHOOLS, SHOPPING, ENTERTAINMENT, EMPLOYERS AND MORE! YOU DON'T WANT TO MISS THIS! CALL/TEXT BEFORE ITS GONE! Ready to visit 153 Allard Rd? Request a free property tour! 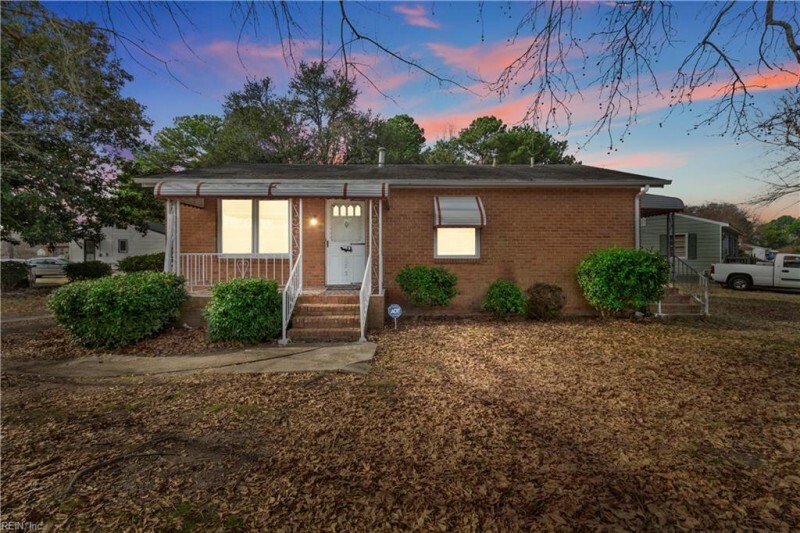 Send me more information about the listing at 153 Allard Rd, Portsmouth, VA 23701, MLS# 10239707. This 3 bedroom, 2 bathroom home located at 153 Allard Rd, Portsmouth, VA 23701 has approximately 1,100 square feet. It is currently listed for $100,000 and has a price per sqft of $9,091. This home is currently Under Contract under the MLS#: 10239707. This listing is provided by 1st Class Real Estate LLC. 153 Allard Rd , Portsmouth was built in 1958. It has Multi Car, Off Street, Driveway Spc parking.The kitchen includes Dishwasher, Disposal, Dryer Hookup, Microwave, Elec Range, Refrigerator, Washer Hookup. 153 Allard Rd is part of the Cavalier Manor neighborhood located in 23701.